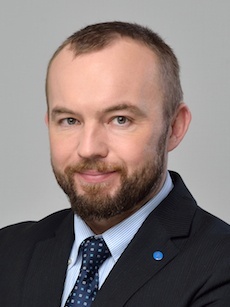 Information Security Magazine by InfoSecurity Russia sits down with Commercial Director at Konica Minolta Business Solutions Russia, Alexey Kaminsky, to talk his business approach and vision of Russian information security market today. Alexey states that in Russia the demand exists in almost all segments of the information security market and it keeps growing. According to him, Konica Minolta Business Solutions Russia became more flexible to adapt to the new business environment and gained from it. "Now we are focused on increasing the market share in Russia." - Which markets have become the key for you in Russia, and what do you offer them? The main markets for Konica Minolta’s Russian Division are constituted by military and industrial segment, public sector and energy sphere. In addition to traditional products - printers and multifunction products (MFPs) for office and commercial printing, in the sectorial market of Information Security we provide software, as well as solutions in the field of secure printing aimed at the corporate segment. The Konica Minolta product solutions are consistent with the ISO 15408/IEEE 2600 standard (standard security profile for the printing devices in the environment of restricted use of confidential information) and have a user authentication function, including the biometric and contactless (involving access cards), as well as different systems for creating a secure printing contour. We are currently working on the development of preventive methods of documents leak: in autumn, acting together with our local partner, we are bringing to the market a solution for the protection of printed and electronic copies of documents, which makes it possible to identify the user by already printed document. - Which regions are most attractive for your company? The main marketing points for us are Moscow, St. Petersburg and Rostov. Now we are actively expanding the sphere of our influence in Ufa, Kazan and Yekaterinburg. - What is your company’s main target audience? What business are your solutions / products focused at? Our main target audience involves IT professionals as our partners on the customer’s side, and the financial and administrative economic management as a functional customer. Segmentation depends on the specific product and solution. We are mainly working with large corporate customers. However, modern fast-growing small businesses are among our customers as well. If we talk about sectorial market of information security, the demand exists in virtually all segments of the business. Moreover, we lately note its increase. At the same time, customers are interested in an integrated approach, but not in a separate single-purpose solution. Regarding the equipment for commercial printing, the target audience is constituted by printing houses of various scale, as well as by centralized printing departments of large corporate customers. Curiously, in these cases we often face requests for the protection of not only corporate documentation, but also, for example, the A0 drawings. - Does the import substitution policy adopted in Russia have an influence on your plans? And if it does, in what way exactly? What has allowed the company to expand the ranks of consumers in Russia despite the policy of import substitution? At first, Konica Minolta is a major brand known around the world. Our technology is unique in many respects. We offer a high level quality expertise and services rendered. We enjoy recognition and trust. At second, we have become more flexible: we reduced the price of basic solutions and services, while our integrated solutions for printing outsourcing are very popular among Russian customers, many consumers are turning towards choosing our solutions. - Do you work through distributors or you have your own representation office? We started out as a representative office in Russia in 2000, and now we are a commercial organization with a direct sales department and large partnership network, which includes more than 180 companies. - What features of the company’s work in the Russian market you can highlight? Unlike the global market, in Russia the price is a vendor’s core selection parameter, while the quality of the proposed solutions has a second or third priority taking into account the economic situation. At the same time, competition in the market is higher than in Europe, as the de facto purchase cost of equipment for customers in Russia is 2 times lower, many suppliers cut prices. - Has the company’s strategy and pricing policy changed for the past 2 years? We adjust the direction of our development subject to the situation on the market. Over the past 2 years we have changed our approach to sales. We have formed a vertical team tailored to sell to dedicated customer categories. We have revised and greatly strengthened the partnership department, as well as changed product and pricing strategy. Now we are focused on increasing the market share in Russia. Watch the Round Up Video from InfoSecurity Russia 2016 and see how it was!